The Byron BYRVD54A colour video intercom with night vision and pinhole camera has a sleek metal outdoor unit. 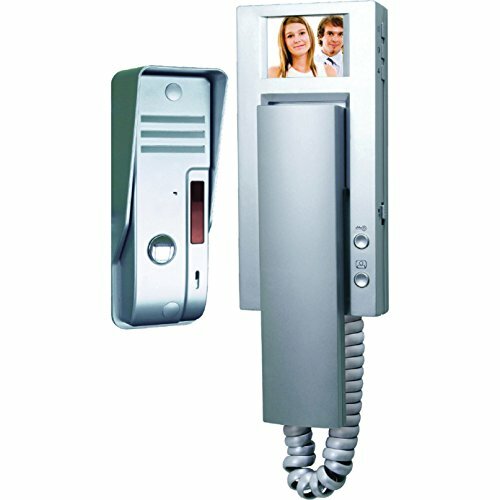 This intercom is for use in 1 apartment, supporting up to 2 indoor units extra unit part number BYRVD60 and is supplied with a surface mounting bracket. The system also featuring a lighted push button with name plate, adjustable bell volume and button door lock function door lock part code BYRDB5005. The cable extends to a maximum distance of 30m and this product comes with a 3 year guarantee.